The Precision Oscillation Spectrum Experiment (PROSPECT) is closer to realization, thanks in part to the work of Illinois Tech researchers. This summer and early fall, members of Illinois Tech’s PROSPECT team built a sub-assembly for the PROSPECT detector in a cleanroom in the basement of the Robert A. Pritzker Science Center. 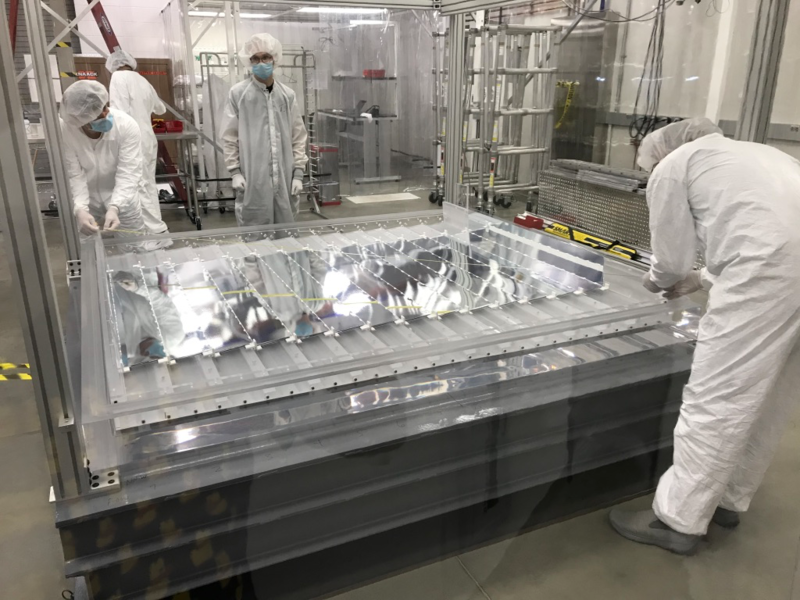 Then, this month, physics graduate students Pranava Surukuchi and Xianyi Zhang traveled to Yale University to help assemble the main part of the PROSPECT detector. A key goal of PROSPECT is to try to detect the elusive sterile neutrino by placing a detector very close to the core of a nuclear reactor – less than 10 m – permitting unprecedented sensitivity in studying the energy distribution of neutrinos as they leave the reactor. This first-of-its-kind short-distance detection device ultimately will be used at the High Flux Isotope Reactor at Oak Ridge National Laboratory, Tennessee. The detector will be shipped to ORNL at the end of December, and data-taking will begin early in 2018. 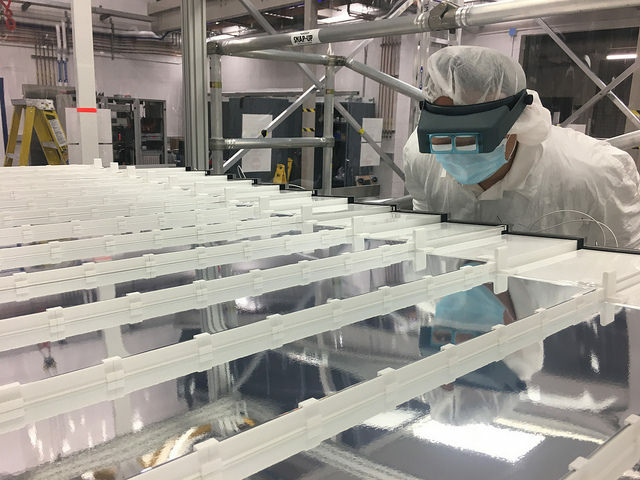 The Illinois Tech sub-assembly is a baseball-bat-length, honeycomb-like labyrinth of thin mirrors that separates the PROSPECT detector into dozens of tube-like cells. When a neutrino interacts with the detector, flashes of light are produced in the nearby tubes. The reflecting walls then direct this flash of light sensors on each end of each tube. 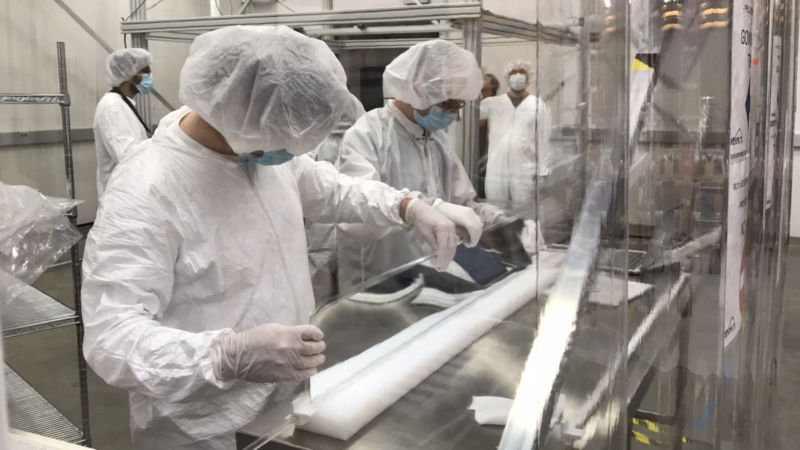 “The sub-assembly will allow us to pinpoint where each neutrino has interacted inside PROSPECT, which is vital to achieving PROSPECT’s physics goals,” said Bryce Littlejohn, assistant professor of physics and a member of Illinois Tech’s PROSPECT research team. PROSPECT is being led by Yale University and involves 68 scientists and engineers from 10 universities and four national laboratories. It is funded in part by a $3 million grant from the U.S. Department of Energy. Other members of the Illinois Tech PROSPECT research team include Christopher White, vice provost for academic affairs and research and professor of physics, and postdoctoral researcher David Martinez.